Early learning is an important part of all children's education. 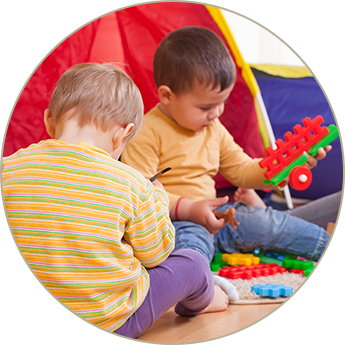 At Kiddie Kollege of Fairfield, every classroom offers the "Creative Curriculum" that is aligned with the Illinois Early Learning Guideline Standards (ages birth-3) and Illinois Early Learning Development Standards (ages 3-5). Parent Teacher conferences are held three times per year so you can provide input into your child's education and development.Children learn a lot through play. At Kiddie Kollege of Fairfield, we educate children and support learning through experiences that are fun, stimulating, and challenging. Our program components include health, nutrition, education, and parental involvement. While respecting your role as primary caregiver, our teaching staff works closely with you to deliver the best possible education and care. Our professional teaching staff implements the Creative Curriculum in each classroom. All children deserve a quality education. We provide comprehensive support services, which include developmental, speech, hearing, and vision screening to identify any special needs that your child may have. We also offer ISBE pre-kindergarten and ISBE Prevention Initiative programs free of charge. These programs offer a wide range of benefits to your family. Parenting can be challenging, but with the right resources anyone can learn to be a fantastic parent. The Wayne County Family Enrichment Program administer a free ISBE Prevention Initiative program that educates parents about child development and connects them with valuable resources. For an overview of the Parents as Teachers program see our PAT handout. This program takes place in the families' homes and includes on-site screening for every child. Prior to employment, all potential staff receives an extensive interview, including contact of previous employers. We drug test all potential employees. Upon employment, staff is required to complete a physical, including TB test and complete the fingerprint process to ensure they do not have any previous criminal record. Our staff orientation process includes trainings on the following topics: Child Abuse and Neglect/Mandated Reporter, DCFS Licensing Standards, Blood borne Pathogens, Shaken Baby Syndrome, Sudden Infant Death Syndrome, NAEYC Standards and Ethical Code and Food Handler Certification. Annually, all of our staff receives a minimum of 24 hours of training in early childhood topics. Staff renews their CPR & Pediatric first aid training certificates every two years. Annual mandatory trainings include Risk Management, Developmentally Appropriate Practice, Positive Teacher-Child Interactions, Transitions, Autism, Special Needs, Developmentally Appropriate Curriculums, Classroom Management, Team Building and other early childhood topics that will help them improve the services they provide to our children. 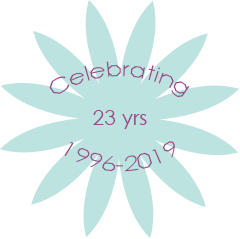 Our birth to three staff is required to continue working toward their Early Childhood Education and Infant/Toddler Credentials. We encourage all of our staff to continue their early childhood education while employed in any of our programs. The majority of our staff meets the educational requirements to be certified by the Department of Children and Family Services which is a minimum of 60 hours of college coursework with a minimum of 6 of those hours in early childhood education. 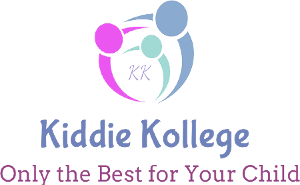 The Directors at Kiddie Kollege has a Bachelors in Early Childhood and a Level II Director Credential. Our IL State Board of Education pre-kindergarten teacher also has a Bachelors in Early Childhood.